This book invites the reader to understand our Universe, not just marvel at it. From the clock-like motions of the planets to the catastrophic collapse of a star into a black hole, gravity controls the Universe. Gravity is central to modern physics,helping to answer the deepest questions about the nature of time, the origin of the Universe and the unification of the forces of nature. Linking key experiments and observations through careful physical reasoning, the author builds the reader´s insight step-by-step from simple but profound facts about gravity on Earth to the frontiers of research. Topics covered include the nature of stars and galaxies, the mysteries of dark matter and dark energy, black holes, gravitational waves, inflation and the Big Bang. 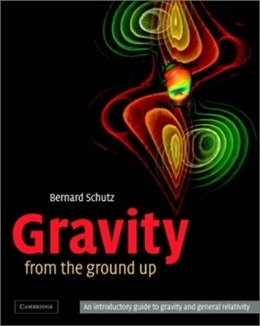 Suitable for general readers and for undergraduate courses, the treatment uses only high-school level mathematics, supplemented by optional computer programs, to explain the laws of physics governing gravity.